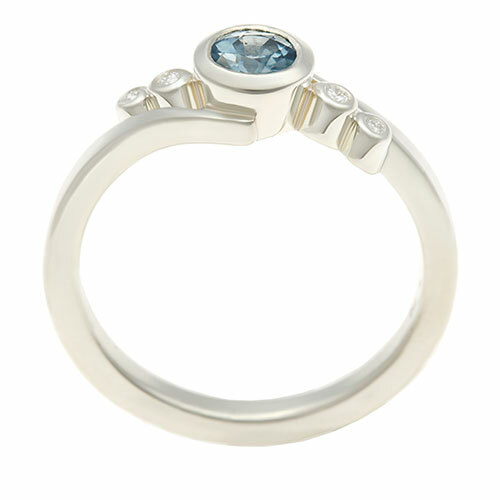 This beautiful five stone engagement ring has been handcrafted in Fairtrade 9 carat white gold by our master goldsmiths. 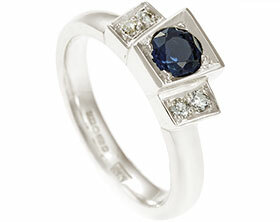 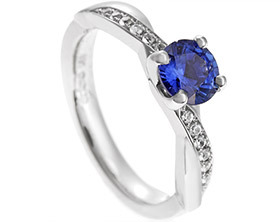 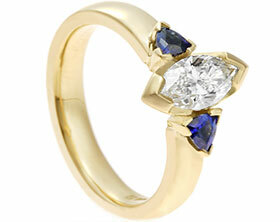 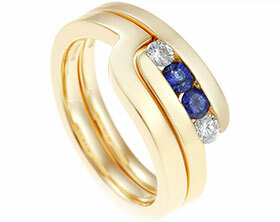 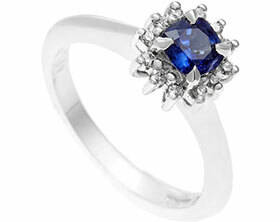 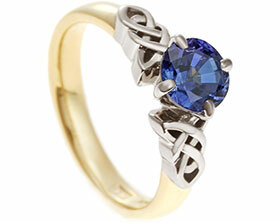 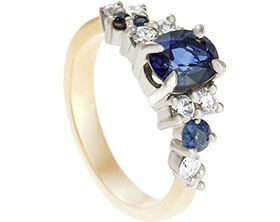 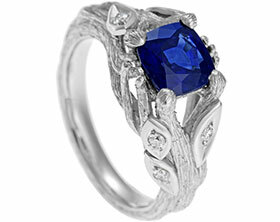 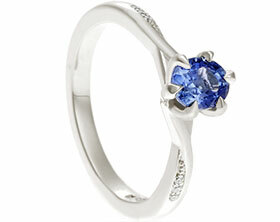 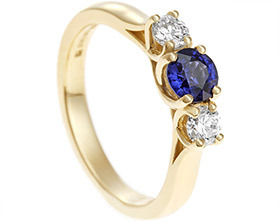 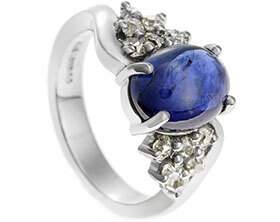 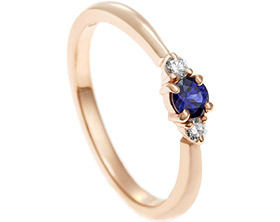 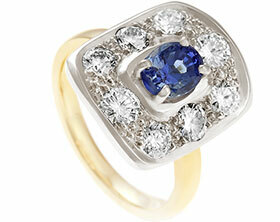 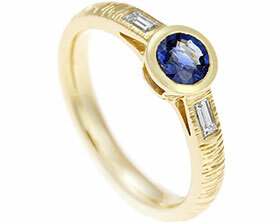 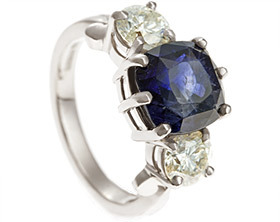 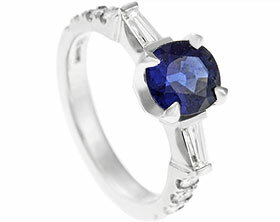 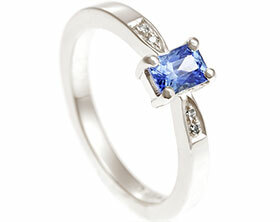 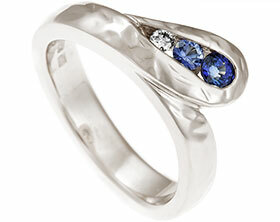 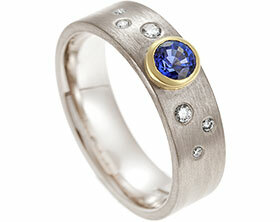 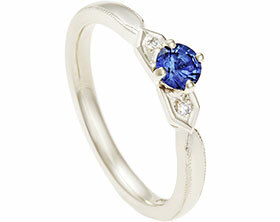 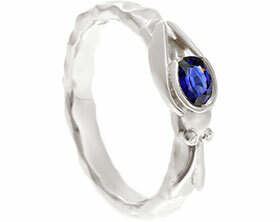 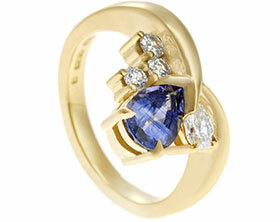 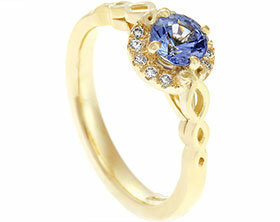 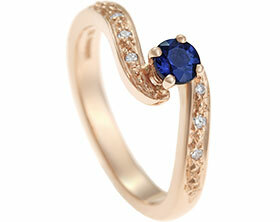 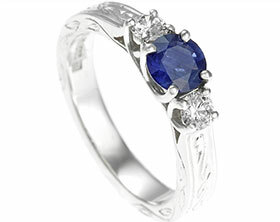 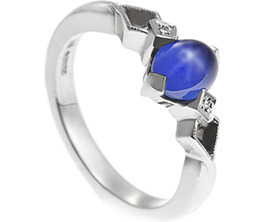 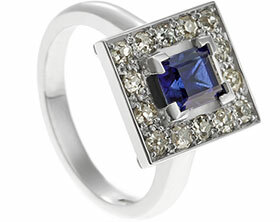 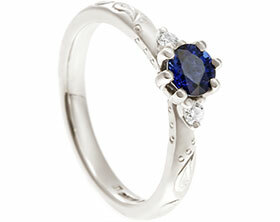 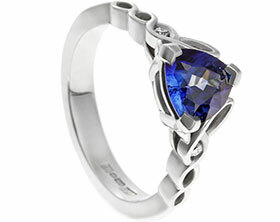 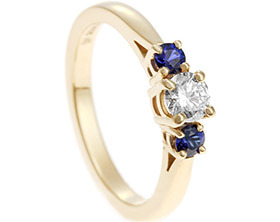 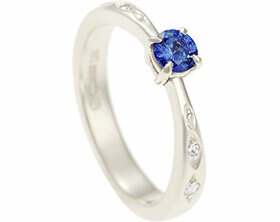 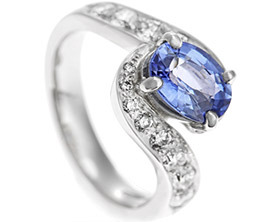 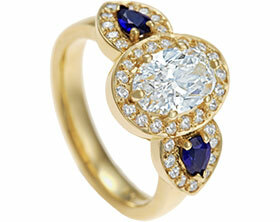 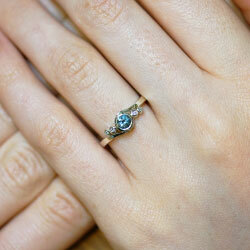 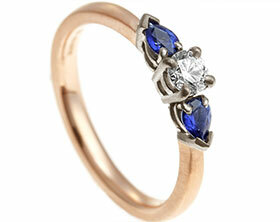 The central stone is a fairly-traded blue sapphire weighing 0.30ct and measuring 4mm in diameter. 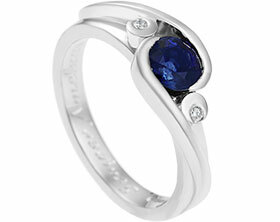 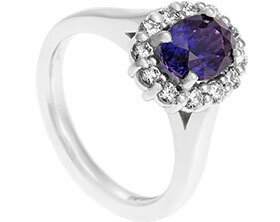 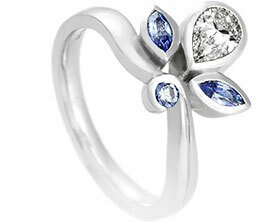 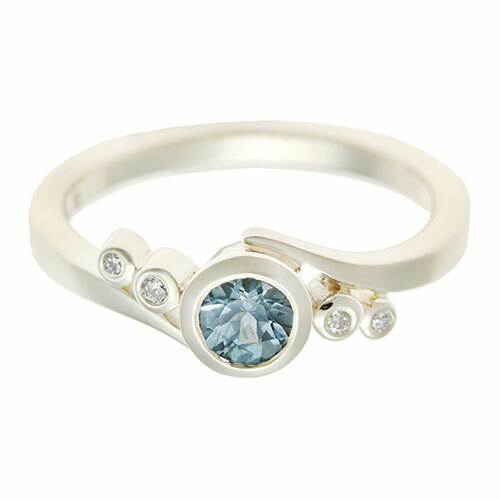 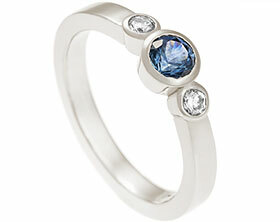 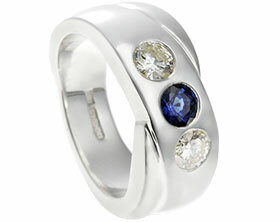 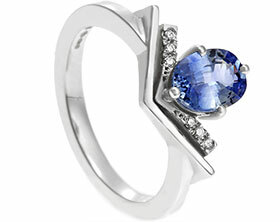 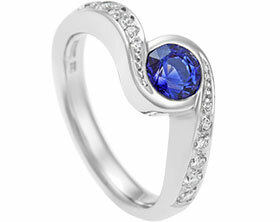 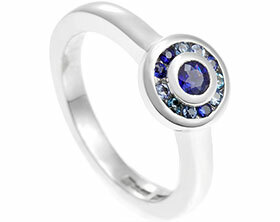 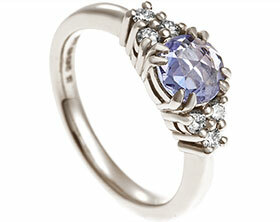 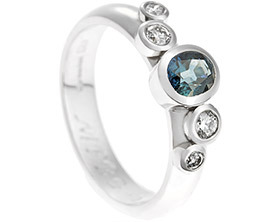 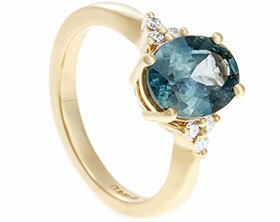 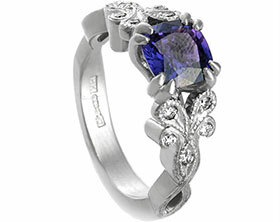 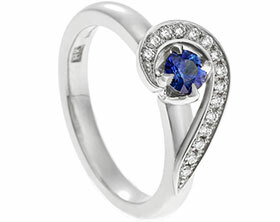 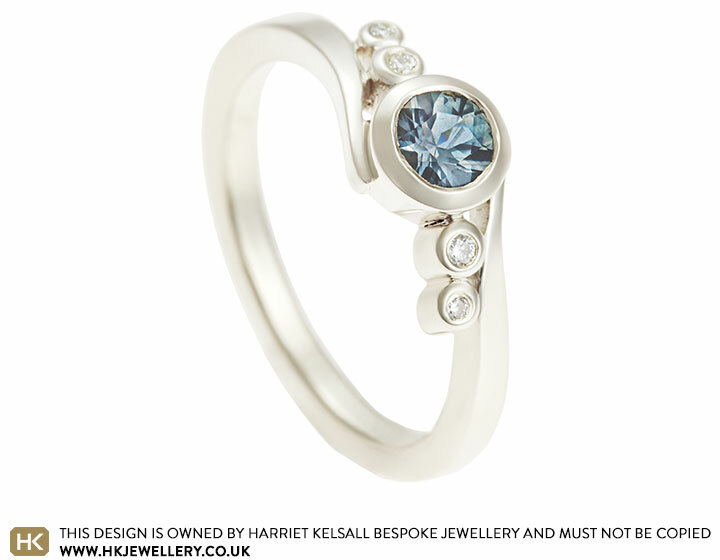 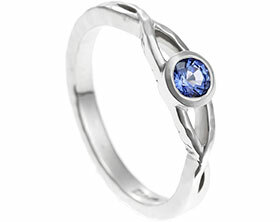 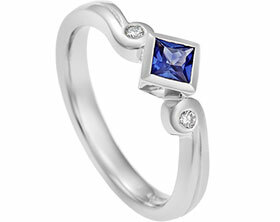 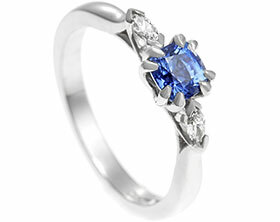 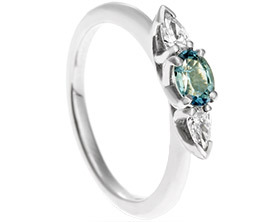 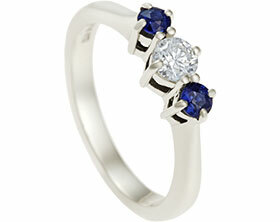 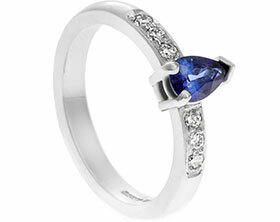 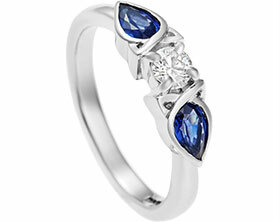 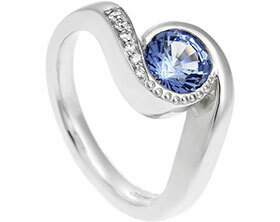 It has an unusual denim blue colour which is offset beautifully by the crisp white sparkle of the diamonds either side. 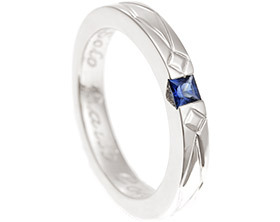 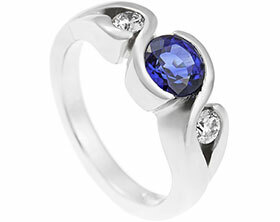 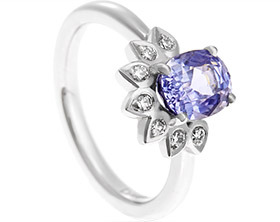 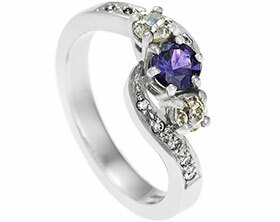 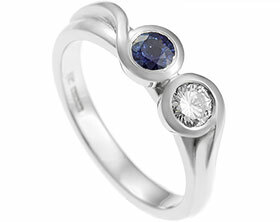 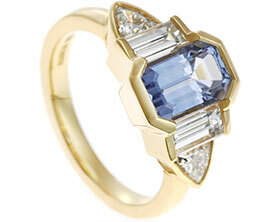 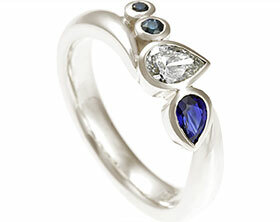 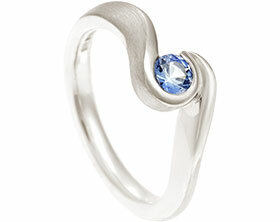 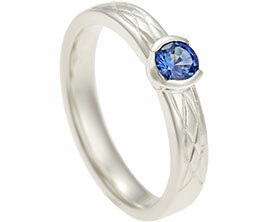 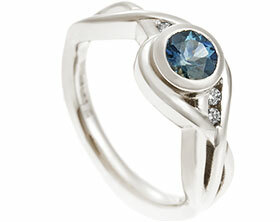 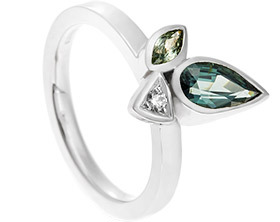 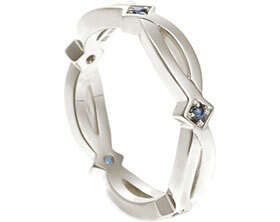 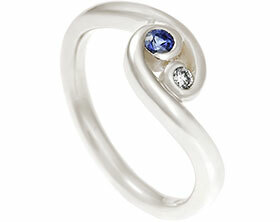 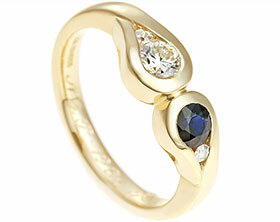 The shape of the ring flows diagonally across the finger with a twisted band to create a continuous flow. 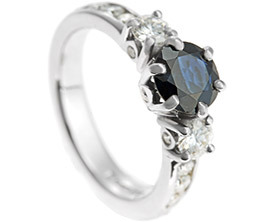 Each rub-over setting has been carefullyhand crafted around each stone.